Cross-industry services in the field of IT, ICT, Security, AV and Automation. People Counting - For what?! Yes! We are doing people counting system - a system that counts the number of people in a particular location and generate reports based on the data collected. So why do we people count? - To calculate the amount of human traffic in a particular location. However, our system do not just count! It is more than just counting. It collects the data, analyse and generate reports on the human traffic by the year, month, day and hour. You may ask - what can I do with the reports generated? - Based on the reports, you can see the trend by the hour, day, month and year, and take the appropriate actions. - Come up with marketing campaigns/promotions and measure their effectiveness. - Efficiently plan and allocate marketing budget with the generated reports and data. - Accurately plan and allocate sufficient manpower for different time slots. - Calculate human traffic to sales conversion rates. 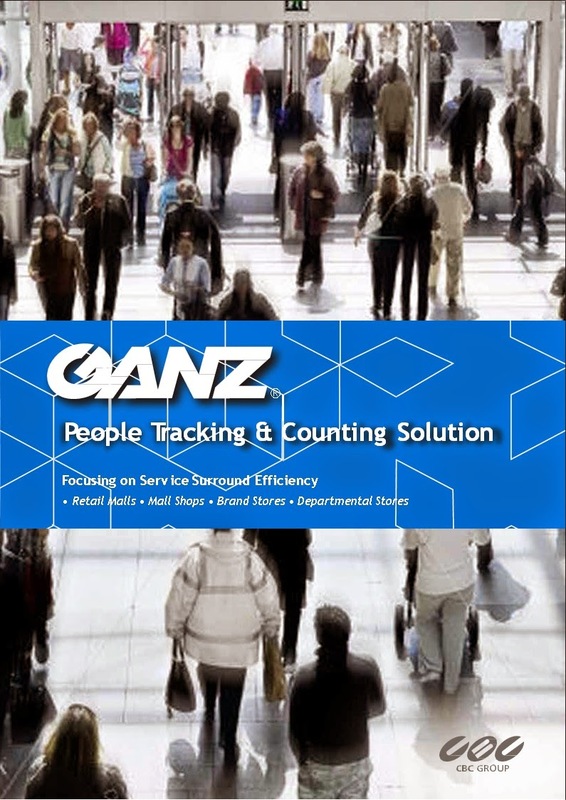 Together with our solution partner, Ganz, we would like to introduce to you all our people tracking & counting solution. Not only you can do people counting, report generation and data analysis with our solution, it is cost effective and expandable, able to add many other features like security alerts, integration with POS system and etc. It has been a while since we blogged. We have been busy this while in serving our customers and constantly racking our brains together to improve ourselves in terms of skills, knowledge, range of solutions to serve our customers better and more efficient. CCTV - Analog vs IP. I heard that IP CCTV is the latest technology. Is it good? I want that. In IP CCTV, everything runs through the Internet network. This means is able to view remotely. I want that. IP CCTV can be wireless. Therefore, no cables is required and less hassle. I want that. Due to such questions asked and comment made, we would like to take this opportunity to share with you all a little bit of professional experience, or rather, our take on this. Analog CCTV has come a long way since the beginnings. Its technology has continuously been developed from using VCRs as recorders, recorders with multiplexers to current age of HD CCTV over coaxial cables, power, OSD control, PTZ control and so on. IP CCTV evolution started in the 90s' with the intention of video transmission over network, providing the flexibility to conduct surveillance on any PC in LAN till today's technology of possessing the ability to input video intelligence and all other functions. Is IP CCTV really good for your applications? Not necessarily. Whatever IP CCTV can do, analog CCTV is able to perform most of the functions as well, including providing HD resolution at a LOWER COST!! easy to use, install & setup. perform the same functions as IP CCTV, mostly. integration with building management system is weak. Able to perform video intelligence such object tracking, foreign object notification, missing object notification, people and/or vehicle counting, licence plate recognition, etc. Able to integrate with other systems in the building with correct source codes to form an integrated building management system. High cost, especially higher with the inclusion of video intelligence functions. More time required on configuration setup. more likely to face latency issues if network management is not properly done. Our take: Choose analog CCTV for higher stability and lower cost since it can do whatever IP CCTV can do mostly. IP CCTV will serve you well if your building requires a high level of security and integration. For more detailed consultation, please feel free to call us at +65 6100 1323. Cheers!